Laser cutting or engraving of certain plastics, such as acrylic or laminated wood, represents one of the biggest challenges for industrial fume extraction units. The fumes and particles created by the laser process are of a sticky nature and quickly clog up the main filters of standard filter units. This causes a loss of suction and results in a HEPA filter replacement. 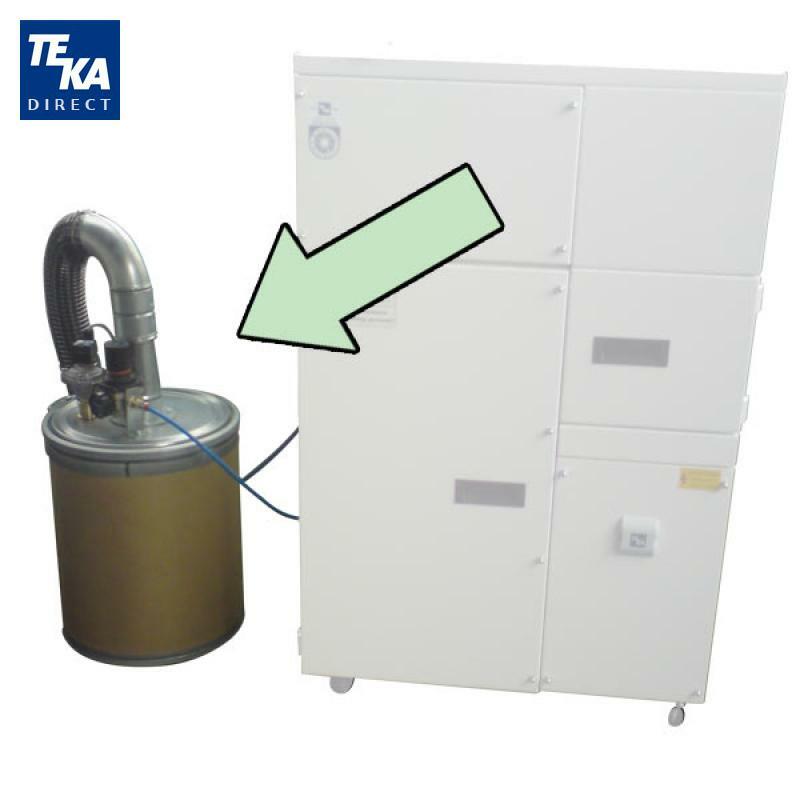 TEKA is now offering a solution for this troublesome issue: an automated precoat powder dispenser (PCD). The system uses a LFE series or Filtercube filter unit with automated pneumatic filter cleaning in combination with the precoat powder dispenser. The precoat powder is made from a special material that sticky particles can not adhere. Once the pneumatic cleaning system cleans the HEPA filter, the pre-coat dispenser automatically injects powder into the vaccum air-stream which will impregnate the filter surface area. Sticky particles can not adhere to the surface and will be removed from the filter with the next cleaning cycle. The lifetime of the HEPA filters can be extended significantly. All functions of the PCD unit, such as cycle time, are being controlled by the filter unit.